We think differently about your communication problems. 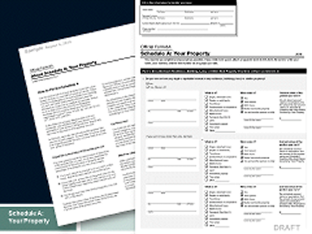 A ground-breaking series of easy-to-understand employer forms for the IRS. Working closely with IRS attorneys and staff, we redesigned a form that every employer throughout the country uses — some 6.6 million file Form 941, Employer’s Quarterly Federal Tax Return, every quarter. With a team of judges, bankruptcy clerks, lawyers, trustees, technology experts, and others, we simplified an entire system of federal bankruptcy forms. 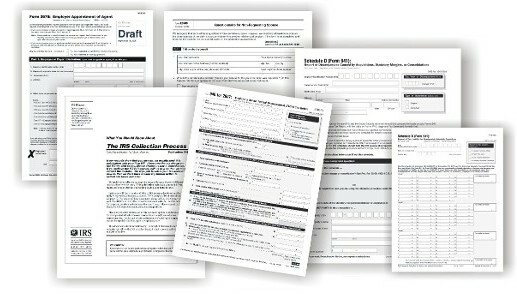 We revamped, rewrote, and redesigned 60+ forms. The challenge: Use technology to make forms easier to complete and make data easier to access, but don’t compromise privacy or introduce complexity. Plus, all forms had to be legally accurate, adhere to the bankruptcy code, and comply with other laws and policies. The National Collegiate Athletic Association (NCAA) was concerned about how well the Transfer Guide communicated with the wide range of readers. Students, parents, coaches, and compliance officers use this book to learn the rules for transferring from one school to another. After conducting intensive interviews and monitoring phone calls, we created an innovative guidebook that addressed readers’ concerns. We explained the rules and developed a cohesive design to make the guide attractive and easy to read. Not only has the NCAA used our publication for years, but NCAA staff also used it to train temporary phone reps because it was more clear than the official rule books. Want to learn more? 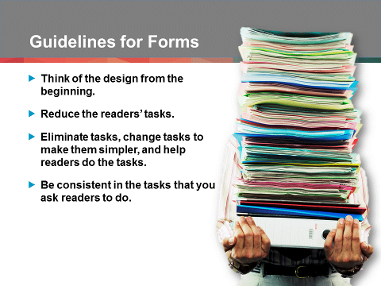 Read Why should you care about bad forms?